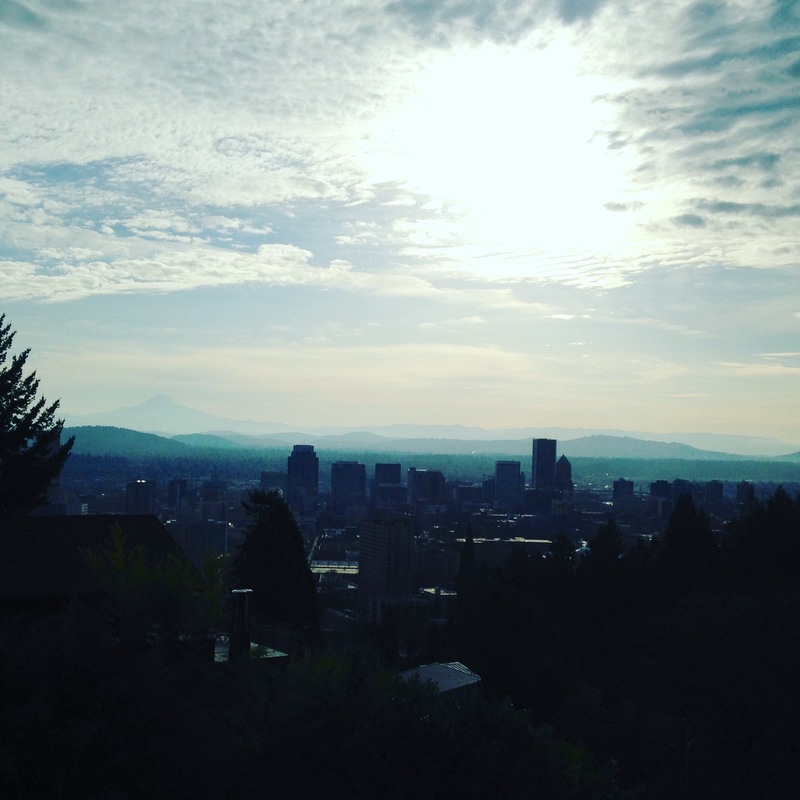 I moved to Portland, Oregon last year. Florida is hot and humid and seemed to sap every creative thought from my head. So it was time for a change. A change that required moving to the opposite coast. 3,070 miles away. I read Marie Kondo’s The Life-Changing Magic of Tidying Up and promptly sold nearly everything, including my car. I packed everything else up in suitcases and flew with my cats across the country. Flying with cats was quite the experience, one that I hope I never have to repeat.Once arriving in Portland, I spent the most of my time searching for employment, literally anything that would help me afford my outrageous rent. I started with two camping chairs as furniture and slowly accumulated the basics over time. Marie Kondo had not prepared me for this. These ladies and I spent the last year lamenting about how we’d like to write more. We’d talk about it on hikes, while drinking our sorrows, while sewing our costumes for comic cons, while planning our trips. We seemed to have no problem talking about how we’d like to write. But we weren’t writing. I don’t know about you, but when I’m not writing, I sort of slump into a depression that can only be fixed by consuming large amounts of peanut butter ice cream and Netflix. Aka not writing. It’s a long, agonizing circle of not being able to call myself a writer (after all, how can you be a writer when you’re not writing!) and then a few bursts every 3 months where I manage to write something, anything. Oh, I really am a writer! Finally, a couple months ago, my writing friends and I formed a tiny writing group. We meet 1-2 times a week and write for hours. We brainstorm. We workshop. We prepare for writing contests. We set small deadlines. We share books to read. (Currently we’re reading 1Q84 together). We go to book launches. I’ve never been part of a group like this before. We trust each other even though we write completely different genres. Sometimes we sit in silence for hours as we work on our own things. Sometimes we set a timer and write following a prompt. Sometimes we just talk about our ideas. It had been so long since I’d finished anything. Sure, I’d been slowly hacking away at the book I started at Hamline. I had even tried to set up a few accountability buddies from Hamline, to try to make sure I keep working on my projects. I tried to set deadlines. Eventually we just lost touch. And I missed every deadline I set for myself. Now I’ve finished the first completed draft of my book, a short story, and this blog post. It’s a slow process, but I have a few projects I’m working on. Projects I’m thrilled about. I carve every moment I can out of my day and hack away at my ideas and drafts. I can rely on my writing group to honestly tell me when my ideas are too weird or boring. I can count on them to hound me until I get something onto the page. My writing group has made me proud to call myself a writer again. Tiffany Grimes, Inkpot Blog Manager, is a minimalist (excluding cats: cats bring joy, thus more cats equal happiness). She graduated from Hamline's MFAC program in 2015 and currently writes and breathes in Portland, OR.